A biography of one of the most important economic statesmen of our time. 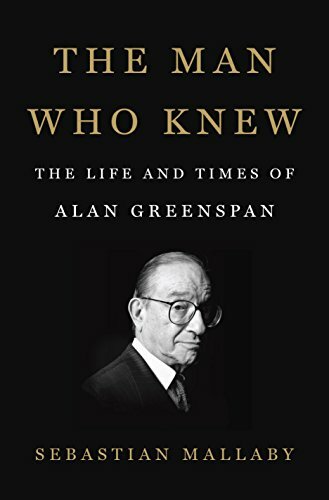 ...[an] exceptional new biography ... Mallaby’s verdict on Greenspan is not ungenerous. 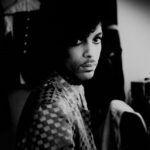 He credits him with prescience on a range of matters that now tend to be forgotten in the shadow of the financial crisis and points to the value of his empiricist approach to economics ... [a] deeply researched and elegantly written biography. ...despite its nearly 700 pages of text, the book is hard to put down, thanks to Mr. Mallaby’s knack for finding just the right example or sparkling quotation to illustrate his points ... Anecdotes from his personal life are judiciously sprinkled throughout the book, providing short respites from economic matters ... [Mallaby's] meticulous research has created a thoroughly engaging portrait of his life and times ... a tour de force, the story not just of Alan Greenspan’s career but equally of America’s economic triumphs and failures over five decades. This view of Greenspan as a political animal is central to Mallaby’s account. It is also, along with the often amusing depictions of Greenspan’s personal life, what makes it so much fun to read ... Greenspan comes across in these pages as a decent, thoughtful, likable guy. Just not as an innocent, and also not as a hero ... there are many juicy stories about Greenspan’s subsequent rise from chairman of the Council of Economic Advisers in the Ford administration to informal minister without portfolio in the early Reagan years to boss of the Fed. What did you think of The Man Who Knew: The Life and Times of Alan Greenspan?